When Mercedes were designing the G Wagen in the mid-1970s, I am sure that they had no idea that it would still be in production over 35 years after its March 1979 launch, and yet it is, with a loyal fan base and a decent level of sales being notched up year after year. It was originally conceived as a vehicle for military use, following a suggestion by the Shah of Iran, then a significant Mercedes shareholder. Development started in 1972, focusing on off road abilities and maximum safety and comfort; with a cooperative agreement between Daimler-Benz and Steyr-Daimler-Puch in Graz, Austria. Mercedes-Benz engineers in Stuttgart were in charge of design and testing, while the team in Graz developed the production plans. The first wooden model was presented to Daimler-Benz management in 1973, with the first drivable prototype beginning various testing including German coalfields, the Sahara Desert, and the Arctic Circle in 1974. 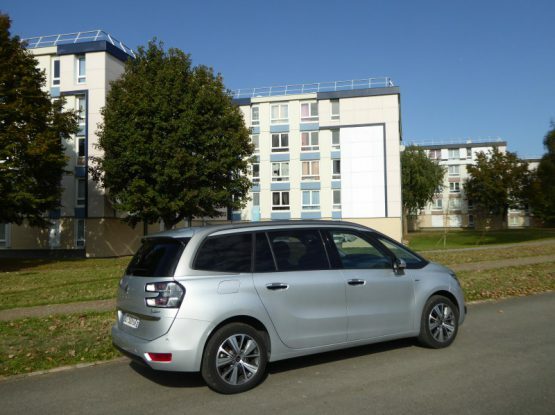 Construction commenced on a new production facility in Graz, where the new cross-country vehicle would be assembled nearly entirely by hand in 1975, with production of the “G Model” – named after the German word “Gelände” meaning “terrain or countryside” – beginning in Graz in 1979. The launch was in February 1979, with two wheelbases, and three body styles: a two-door SWB convertible, a two-door SWB wagon and an LWB four-door wagon. Engines from the then current Mercedes range were used, ranging from the familiar 2.3 litre four cylinder carburettor unit in the 230G, the slogging 2.4 litre diesel (non turbo!) for the 240GD to the 2.8 litre injected 280GE and the five cylinder 300GD. Four speed transmissions were standard. It was expensive, but this was no deterrent to sales, with over 50,000 built in the first decade. The first major refinements were introduced in 1981, including an automatic transmission, air conditioning, an auxiliary fuel tank, protective headlamp grilles and a cable winch. Fuel injection became more widely available in 1982, when the 230 GE was introduced, along with more comfortable and supportive front seats, auxiliary heating, wider tyres and flared wings. For 1985, differential locks, central door locking and a tachometer became standard. UK sales started at the end of 1981, but the cost and relatively utilitarian nature of the G Wagen counted against it, as Land-Rover figured out that the market was prepared to pay for greater luxury, and they moved the Range Rover in that direction. Accordingly, the G-Wagen received some fairly major changes for 1990, resulting in the model being given a new development number, the W463, as opposed to the W460 of the original. Whilst it looked very similar, underneath there was a new chassis with permanent 4-wheel drive, a larger choice of engines and the inside was now wood and leather-trimmed, and there was optional (ABS). During the 1990s, the civilian model began to offer cruise control, a stainless-steel spare-tyre cover, running boards and Burl Walnut wood interior trim. By 1992, the 100,000th G Model was built in Graz. In 1994, the model line was officially renamed the G-Class, as part of Mercedes’ new naming convention. Ventilated front disc brakes and a driver’s air bag became standard. In 1996 the automatic transmission became an electronically controlled 5-speed unit. Headlamp washers, cruise control and a front passenger’s air bag were added. In 1998, the range-topping G 500 with a 296 hp V8 was introduced for series production. For 1999 a limited run of V 8 powered “G 500 Classic” special editions marked the model’s 20th anniversary. Later in the year, a G55 AMG debuted as the most powerful G-Class yet, with 354 hp. Sales continued to build steadily, and this was further boosted by the US market launch of the G-Class in 2001. New alloy wheels, a chrome grille and body-coloured bumpers plus a more luxurious cabin were introduced. New dynamic control systems included the Electronic Stability Program (ESP), Brake Assist and the 4 wheel Electronic Traction System (4 ETS), keeping the model uptodate with technology despite the looks not changing much. The G55 AMG was upgraded in 2004 with a supercharged V 8 engine developing 476 hp, which proved surprisingly popular. With military contracts for the G Class completed in 2006, it was widely expected that the new large SUV under development for 2007 would replace the long-running model, but when what was called the new GL-Class arrived, it was announced that it did not replace the G-Wagen, leaving the older car in production, as there were plenty who admired the G-Class for its tremendous off-road potential, along with its reputation and cachet, which meant that a market still existed for such a vehicle. Accordingly, it would still be built at a rate of 4,000 to 6,000 units a year, and in February 2009, Magna Steyr, announced that it had signed an agreement to extend the production of the Mercedes-Benz G-Class at Magna Steyr in Graz, Austria until 2015. And it is still being made. 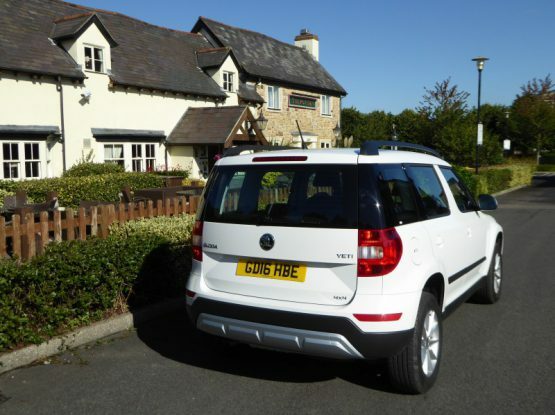 What started as a very utilitarian vehicle is now sold very much as a luxury model, with very premium pricing. If what Mercedes can offer you is not enough, various automobile tuners such as AMG, Brabus, Lorinser, Carlsson, A.R.T., and RENNtech have all modified the engine, interior, and exterior. It sells strongly still in the more affluent parts of America, the Middle East, Russia and is a common sight in the west end of London. Truly this is a model that won’t die, now looking like it will stay in production for as long as the legislative regime allows and that there are customers for it. The G Wagen has always been pretty high on my list of “guilty pleasures”. I rather liked the early agricultural ones, as the idea of something with late 1970s levels of what was then legendary Mercedes engineering and build quality (both things which have sadly lapsed in recent times) as well as the boxy styling had quite an appeal. Following the rebirth more as a fashion accessory, the appeal was undiminished, as the car now has that sort of timeless quality to it, and whilst some of the really blinged up G’s that you see (and there are plenty that are like that! ), the boxy styling appeals and the idea that it now has a sonorous V8 rather than a weedy 72 bhp 2.4 litre non-turbo diesel under the bonnet just adds to its “I like this” factor. Hertz in the US got a small number of G550s on fleet as part of their Dream Collection, and I determined that I was going to rent one. The first couple of times that I saw them, they were all reserved for other customers, and such was their popularity that it appeared that I was going to find it hard to get one for the sort of discounted price for which I have managed to get other cars from the Dream Collection, but on this trip, I got lucky. There was a choice of two: black or white. The photographer in me took no time at all to decide that it needed to be the white one, as this is so much easier than a metallic black, especially with the promise of bright sunshine for the couple of days for which I was going to have the car. Paperwork completed, it was mine for 48 hours. Examine the G550 close up and there are plenty of reminders that this is a vehicle designed a long time ago. The styling, of course, is the biggest personification of this, with the very upright windscreen perhaps the most obvious reflection of how cars were in the 70s. Then you spot that it still has those drip rail gutters around the roof, and the door handles have a push button in their centre. And when you open and close them, they “thwack” shut rather making the sort of “thunk” noise you get in most cars these days. You could argue that the exposed door hinges were a styling feature even then, as these really go back a lot earlier than the late 70s, and the same can be said for the running boards. Open the door, though, and look inside, and you can see that Mercedes have made some changes as the dash incorporates many of the elements that you will find in Mercedes models that have been designed in the past couple of years. But rather than the dash protruding back several feet from the base of the windscreen, an inevitable consequence of the steep angles that they are now set at, in this case, the dash unit is much smaller than in a modern car and it drops vertically almost at the base of the screen. Cursory examination over, it was time to fire the engine, which is done with a conventional key, inserted to the right of the wheel. What a noise! Oh, what a noise. Does any other SUV sound as good as this, apart, obviously from the AMG versions of this car? Of all the memories I have of the G550 – and there are plenty – it is the sound that emanates from it that made it even more special than I was hoping for. And that applied as you fired it up, every time you blipped the throttle or – best of all – when accelerating even quite modestly. Unlike the European market non-AMG models, where the 3 litre turbodiesel unit is fitted, creating a model called the G350 CDi, Americans get a proper V8 under the bonnet of their G Wagen. Whilst with most Mercedes models these days, the numbers no long reflect the engine capacity in the way they used to, for the G550, you do actually get a 5.5 litre unit. It generates 382 bhp and puts out 391 lb/ft of torque and is couple of a 7 speed automatic gearbox. There is more than enough power for most people’s needs, though if you feel you really do need more, then the even more costly AMG G63 is for you. This also has a 5.5 litre V8, but tuned to give 536 bhp and 560 lb/ft. Despite having the aerodynamics of the proverbial barn door, press the throttle and the G550 will accelerate briskly, and continue doing so well beyond what the laws of California will permit. The quoted 0 – 60 time is around 7.2 seconds, which is fast, though not blistering, unlike the AMG which does it in 5.3 seconds. Unlike most Mercedes models which have a transmission selector on the column, that of the G Wagen is in the centre console and is a simple lever that you pull back and forth. Park is selected by pushing a button. There are paddle shifters on the steering wheel as well. I ended up leaving the 7 speed transmission to make the decisions itself, which it seemed well able to do, with very smooth gearchanges indeed. Such is the available torque that if driven gently, the G550 will stay in a reasonably high gear and can then accelerate rather briskly. Once underway, the noise levels are generally low. You will hear the engine every time you press the throttle, of course, but cruising at a steady speed, this is quite a refined vehicle, with not much contribution from tyres or wind to disturb the occupants. You might expect that there is a penalty to be paid for the combination of large frontal area, weight and a V8 at the fuel pump, and you would not be wrong. I averaged just 16 mpg US (that is 19.11 mpg Imperial) during my tenure, which is about what I was expecting, but hardly economical. No wonder European markets get the G350 diesel! I understand that the G Wagen really scores when you take it off-road, something which my rental contract did not really permit me to do. On road, the limitations are rather more apparent. The steering is light, to the point of being a bit dead and vague feeling, an impression which continues as you wind on lock, rather than being confined to the straight ahead position only. This is a tall vehicle with a high centre of gravity, so you don’t expect to be able to fling it into the bends with gusto. Far better to take things more gently and let the engine rumble and burble away in the background as you accelerate again once you are back on the straights. There is some body lean as you tackle the corners and there is plenty of understeer. The ride can be somewhat skittish. The brakes proved well up to the task of stopping the car, certainly from the speeds that I was doing. There is a traditional pull-up handbrake fitted between the seats. With its boxy styling, you might expect visibility to be a lot better than it is on modern vehicles with their steeply raked screens and small glass area. That’s only partly the case, in fact. Judging the front end is easy as the bull bar protrudes high enough, that you can tell where the front of the car is. The back is harder to judge as when you look over your shoulder, you have a large central headrest right in the field of vision and the spare wheel, which is mounted on the tailgate also sticks up over the base of the rear window, so it is not that easy to judge. The field of view from the door mirrors is not overly generous, as the mirrors are not actually that big. There is a blind spot feature and there are all round parking sensors to help out. Whilst the heated front screen would doubtless prove welcome on frozen-over mornings, the heating elements are just visible in the screen. Headlight washers are fitted, though whether they would be any more effective than those of other cars is highly questionable. If you were expecting that the interior of this G Wagen would be black, then you are only partly correct. There was plenty of brown on the test car as well. The perforated leather-trimmed seats were a sort of chocolate brown colour as were the lower half of the door casings, and then there are the shades of brown from the wood that goes around the top and bottom parts of the steering wheel as well as there being a sizeable wood inlay around the central part of the dash and the centre console. Not perhaps to all tastes, but there are plenty of optional alternatives available. The dash itself is a reminder of how things used to be in the late 1970s, but with a lot of modern features added to it. The basic moulding is quite slight by modern standards, with the instrument binnacle standing proud, right in front of the driver. The dials themselves, though, use the graphics of a 2015 Mercedes. There are two of them, a speedometer with integrated fuel gauge on the left and rev counter with water temperature on the right. Between them is a digital display area, something that would have been beyond the designer’s imagination in 1979, but very much a feature of every Mercedes of this decade. As with its brothers and sisters, you select the display you want using buttons on the left hand spoke of the steering wheel, and there are a range of menus and sub-menus for such things trip mileage and stats, and car servicing information. There is one rather chunky column stalk, on the left of the wheel, which is used for indicators, and by twisting the end of it, for the wipers, and there is a smaller one set below it, also on the left of the wheel, for the cruise control. Lights are operated from a rotary dial on the dash to the left of the wheel. The centre of the dash is rather dominated by the infotainment screen which is stuck on to the top of the central moulding, looking like the after-thought that it clearly is. This will be familiar in operation to anyone who has driven any other Mercedes recently, with the COMAND controller for it being in the middle of the centre console, behind the gearlever. Although there sometimes feel like quite a few menus to negotiate and select from, it is reasonably intuitive, and allows you to select radio waveband and find available stations, as well as the navigation system and some in-car settings. Beneath this in quite a busy area are a pair of central air-vents which straddle the switches for the diff locks and low range transmission option. Beneath these on the left side are an array of buttons for selecting features on the display screen such as Audio, Navigation etc, whilst on the right is a telephone keypad style bank of buttons for using the Bluetooth connectivity to your phone. A chromed row of buttons then goes across the bottom of this unit, for some other minor controls such as the hazard warning lights, and seat heaters. And below this are two rotary dials and some more buttons for the dual zone climate control. There are some audio repeater buttons on the right hand steering wheel spoke. A rather rudimentary looking cup holder is positioned to the passenger side of the centre console. The overall impression of the cabin is one of solidity, with everything appearing well built and solid, with the exception of that “stuck on iPad” look, but Mercedes do this even on some of their latest designs. There are running boards fitted down both sides of the G Wagen, and they proved very useful – at least for me, who is not on the tall side – in getting in and out of the car, as without them it would be quite a step up. Front seat adjustment is all electric, with the usual collection of switches arranged to emulate the shape of the seat positioned on the door, which allow you to adjust the seat fore and aft, the backrest rake and the height and angle of the seat. There is also a lumbar support and you can tighten or loosen the side bolsters, using switches which are mounted on the seat. Not surprisingly, given the luxury price-tag of the car, there are seat heaters, and ventilators, and there was an optional heated steering wheel on the test car as well. There are memory settings available to store that perfect driving position once you’ve found it. The steering column is also electrically adjustable, telescoping in and out as well as up and down. All was pretty good, except for the fact that the seat belt mounting was too low for me, even its highest setting. 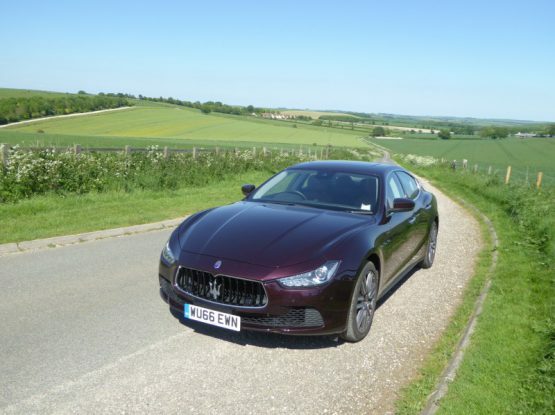 That aside, the rather sizeable seat proved comfortable, and you really do have a driving position that is genuinely “commanding”, set considerably higher than you would be in regular saloons and estates and even quite a lot of Crossover-type vehicles. The G550 is a five-seater. There is no option for additional seats behind the second row, unlike most of its market rivals. Headroom is not in short supply for those in the back, but legroom just may be, depending on how far back the front seats are set, and even though the seats are set quite upright. Indeed, many would perhaps wish them to be more reclined, for greater comfort. By modern standards, this is a relatively narrow vehicle, so three adults across the rear bench will be a bit tight. The third rear seat belt is suspended from the roof. Strange as it may seem, the G Wagen was originally designed when rear seat belts were rarely fitted to a car, let alone was it compulsory to wear them. Occupants here get their own air vents and cupholders. I was surprised to see that there was no central armrest. The side windows are particularly deep by modern standards, so passengers here get a good view out sideways, though they are limited in their view forwards because of the large front seats. There are map pockets in the back of the front seats and there are bins on the doors. The boot area will probably prove large enough for most people, though it is far from the roomiest that you will come across. The central area is lower than that at either side, so you do not have a completely flat floor across the width of the boot. And you don’t get this when you fold the rear seats down, either, as there is a marked step up between the boot and the extra space created by dropping the asymmetrically split rear seat backrests on to the cushions. There are a number of hooks that you could use to secure items to, and there is a load cover, though to get it below the window line, it is surprisingly low down, meaning you would lose quite a bit of available space if you only loaded items beneath it. The spare wheel is mounted on the outside of the side-hinged tailgate, but don’t imagine that this gives you a lot of space under the boot floor, as it does not. Inside the passenger compartment, there is a rather pokey glove box, there are bins on the doors, there is a stowage net below the glovebox and there is a cubby under the central armrest, but on the whole there are not the number of size of places to put odds and ends that you might expect in a practical vehicle like this. 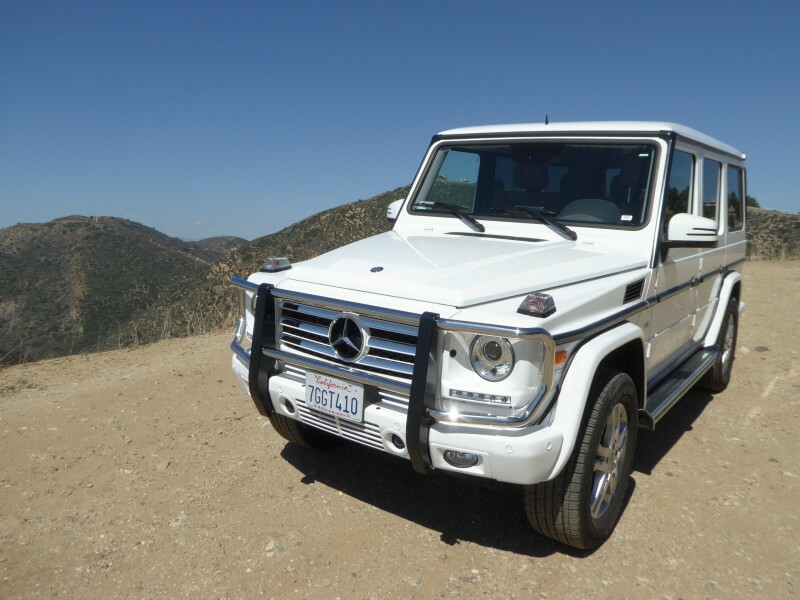 For 2015, there are only two models in the G Wagen range in the US: this one, the G550, and the AMG G63. The G550 is well equipped, as you would hope, given its price, of $115,400, with the standard spec including full-time four wheel drive, 22″ alloy wheels, lots of chrome trim, including the bull bar on the front, fog lights, bi-xenon headlamps with automatic range adjustment. and headlight washers, a steel tilt/slide sunroof, full leather trim, a leather wrapped steering wheel, adaptive cruise control, the COMAND system with a central controller, 7-inch colour display, navigation, a 12 speaker Harman Kardon surround sound system, six-disc DVD video/audio player, HD Radio and Bluetooth, heated and cooled front and rear seats, with 10-way power-adjustable front seats with lumbar support and a memory for the seats and mirrors, power tilt and telescoping steering wheel, blind spot monitoring, auto sensing wipers and lights, flat-folding second-row seats, a rollback load cover, dual-zone climate control, a rear-view parking camera and parking sensors. The AMG G63 is even costlier, at $137,150. Your money is mostly going on the more potent engine, the AMG suspension as well as a few minor styling modifications, as the standard equipment levels are very similar to the G550. There are some omissions from the standard spec for both versions, such as no climate control for rear seat passengers and some cost options, such as a rear seat entertainment system, a heated steering wheel and various interior styling options, as you might expect. In purely objective terms, it is hard to make a case for the G550. For a start, it is very expensive to buy, and thanks to that glorious V8 motor, it won’t be cheap to run, either. Look at the list of things that I found in my couple of days testing, and you will see that the steering is vague, the ride is skittish, visibility is not brilliant, the cabin is not that roomy………. none of which are demerits you would find in any of the high-end Range Rover products, for instance. And yet, it’s not hard not to fall for the charms of the G Wagen. I happen to love the style of it (provided it has not been overly blinged up! ), and that engine just make such a good set of noises and endows it with performance that will surprise everyone including the driver, so it is hard to apply that purely objective lens to it. Fact is, I loved it, and it was one of those rental vehicles that I would willingly have simply not returned.